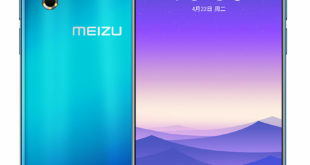 Oppo F9 and F9 Pro are two new smartphones of the Chinese company have been leaked in many images thanks to a series of photos shared by the company and leaked web confirming what has emerged at this moment. 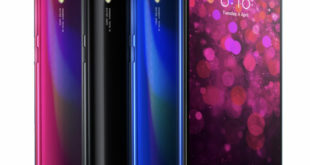 As you can see, the Oppo F9 and F9 Pro will feature a tiny notch display in Essential Phone style, where it should have a 25-megapixel selfie camera. 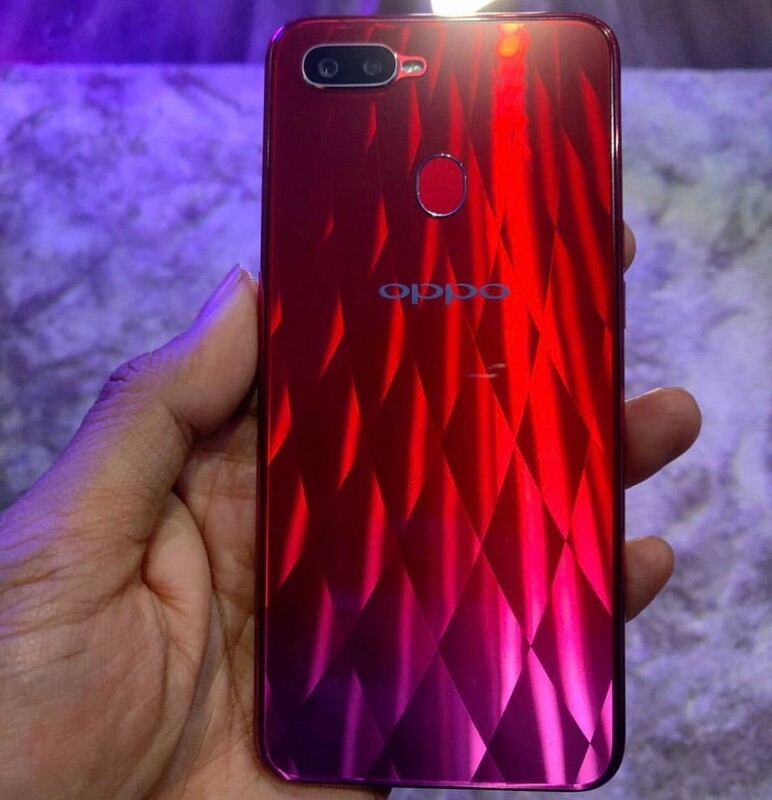 Unlike the F9 Pro, Oppo F9 with new back panel has a diamond pattern which will come in Twilight Blue and Sunrise Red color options, specifically the rear-mounted fingerprint scanner, and dual-camera configuration. 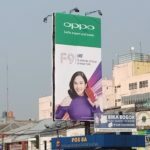 A leaked teaser suggests that the official release date of Oppo F9 on August 15 which is just two weeks away. 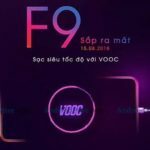 The teaser also includes the VOOC charging feature letting you use the device for 2 hours of talk time just by charging it for 5 minutes. 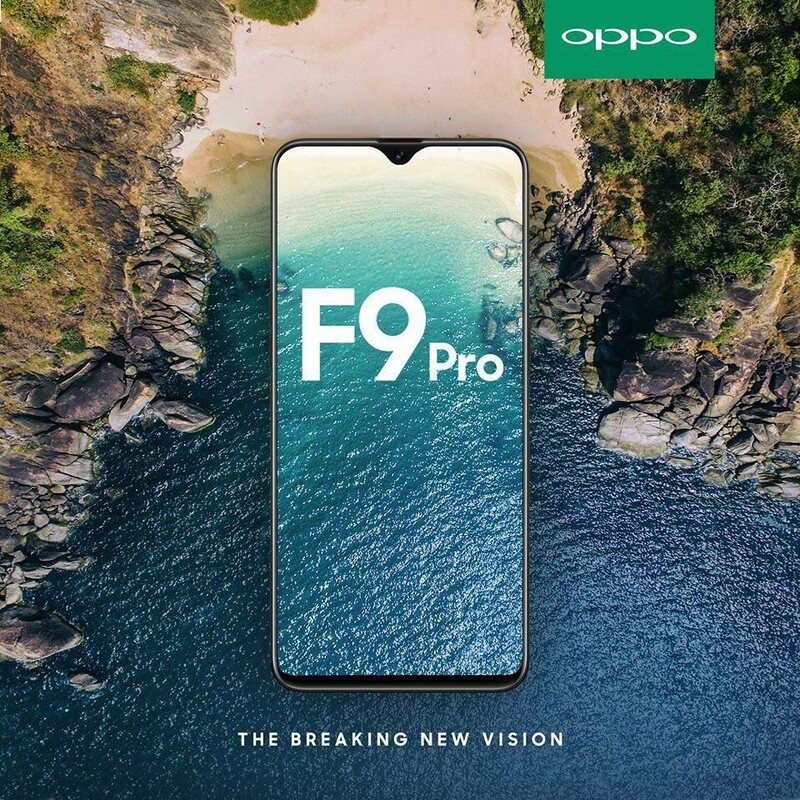 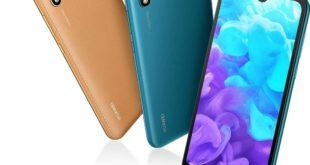 As for the technical specifications, Oppo F9 Pro should be equipped with a 6.3-inch display with FHD+ (2280×1080 pixels) resolution, 6GB of RAM with 128GB of storage, expandable up to 256GB via a microSD card, MediaTek Helio P60 SoC, 25MP front camera, 16MP dual rear camera and 3400mAh battery with VOOC fast charge support. 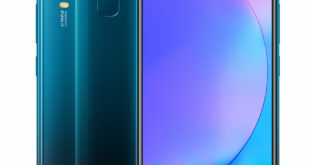 However, no more details on Oppo F9 specifications, we will keep you updated with the latest news.